Gary will give an interview for KUAT-TV with host Tony Paniagua. Moderator and host for a University of Arizona/USDA ARS/Crop Diversity Trust forum on Crop Wild Relatives, including an event on campus at ENR2 Haury Auditorium, afternoon workshop on Tumamoc Hill, pay-in-advance wild relatives banquet and field trips. We are the Wild Things community: collaborative, optimistic, effective. Recognized as one of the nation’s largest networks of people engaged with nature, we enjoy and protect Chicago area wild lands and wildlife. We are stewards, monitors, advocates, educators, Chicago Wilderness members, volunteers, and staff, all working together to promote and protect the prairies, woodlands, wetlands, wild yards, and natural parks of northeast Illinois, northwest Indiana, and southeast Wisconsin. We come together in person every two years at the Wild Things Conference. And in between, this website celebrates the week-in, week-out experiences of the community as we seek to investigate, enjoy, and protect local nature. Two panel discussions, one each day with Aby Mogollon of UA Press as main contact. Gary Paul Nabhan will be presenting a lecture on his book “Food from the Radical Center,” at Delaware Valley University on Wednesday, March 6. The event will be held from 6 to 7:30 p.m. in the Life Sciences Building auditorium. All are welcome, and there is no cost to attend. Guests do not need to register in advance. There will be a book signing at the event. “Food from the Radical Center” discusses the collaboration of diverse communities in the U.S. that are working to revive the country’s systems for producing healthy, local food. In a divided nation, efforts to support healthy food production is bringing people are bringing people with different political views, cultures, and religions together and providing hope for future conservation initiatives. Land and rare species restoration as described in Nabhan’s book have brought economic, ecological, and social success to U.S. communities. Nabhan’s 50 years of community-based project experience provides a unique perspective on the conservation of biological and cultural diversity. “Food from the Radical Center” offers an inclusive vision of environmentalism and stories of healing through the community-based recovery of food-producing landscapes. “Food from the Radical Center” is available for purchase at the university bookstore. Nabhan is an award-winning author and agrarian activist whose 36 books have been translated into eight languages. He is an agricultural ecologist, ethnobiologist, and the Kellogg Endowed Chair in Southwestern Borderlands Food and Water Security at the University of Arizona. 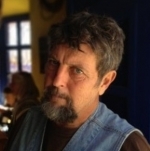 Nabhan is considered a pioneer of the local food movement and has been honored with a MacArthur Genius award and awards from the Societies for Conservation Biology and Ethnobiology. He raises heritage fruits, heirloom chilis, and spices near the Mexican border. The presentation is being sponsored by the University’s One Health Working Group, the Food Systems Institute of Delaware Valley University, and the Heritage Conservancy. World-renowned writer, ethnobotanist, and conservationist Gary Paul Nabhan is returning to Flagstaff April 17 to deliver the annual Olajos-Goslow Lecture, presented by the Landscape Conservation Initiative and Sustainable Communities program. Today, Agave Heritage Festival is a city-wide, ten-day destination event that spotlights the sustainability of the southwest region through the lens of the agave plant. Agave Heritage Festival celebrates the unique importance of the agave plant and the borderlands culture with seminars, trade shows, and world-class culinary events. The Arizona Food & Farm Forum is a conference for producers, food entrepreneurs, and local food advocates, programmed to change the way our desert state feeds itself. The event features networking sessions, nationally-acclaimed keynote speakers, instructional workshops, and the opportunity to grow your local food community. A first-generation Lebanese American, Nabhan has been working with, and learning from farmers and foragers in several indigenous communities on both sides of the U.S./Mexico border for over thirty years. Co-founder of Native Seeds/SEARCH and numerous other key organizers in the southwest, Nabhan currently serves as the Kellogg Endowed Chair in Southwestern Borderlands Food and Water Security at the University of Arizona Southwest Center. Join Nabhan as he presents success stories from Arizona, highlighting how working for a healthier food system is one of the few goals that bridge the many divides in America today, by uniting urban and rural, left and right, immigrant and indigenous, producer and consumer in ways that build lasting collaborations.